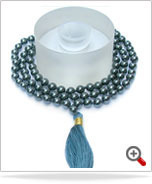 Being one of the trusted organizations in the market, we are engaged in providing a wide range of Hematite Mala. A design of magical elegance by Thailand's Lilly Rahmann featuring the extraordinary beauty of black agate. The necklace is crafted by hand featuring silver accents, unique to the jewelry trends of the Karen hill tribe. 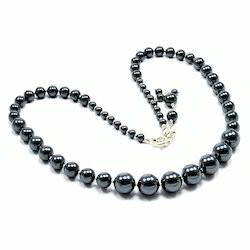 Faceted hematite adds a touch of enchantment.